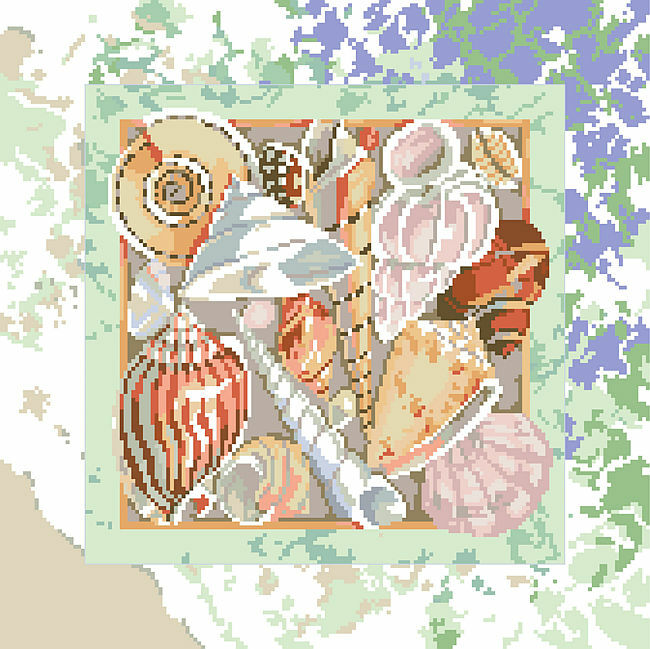 Seashells and foaming surf fill this great composition of beautiful shells in a palette of tan, aqua and blue. 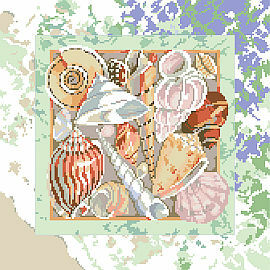 This would make a great pillow for any beach house and the elegant and realistic depiction will never go out of style. Nancy Rossi outdid herself on this gorgeous design.